Members of the armed forces may be investigated by Royal Military Police or by the civilian Police, or the Special Investigation Branch, as you are subject to criminal law. If you are accused of a military offence and you are arrested by Service Police, you are entitled to the same rights as you would be if you were arrested by civilian police. This includes the right to have a solicitor present at your interview. This is the case wherever you are serving in the world, and we are able to travel overseas to attend a service police interview. It makes no difference if you are an Officer or a Listed personnel overseas, in the UK, or deployed on Operation. You are entitled to free and independent legal advice during that interview. It may be that the Service Police contact you via your unit, asking you to attend for interview. What occurs during the service police interviews will often have a crucial effect on the rest of the case, and may impact on your career and promotion prospects. You may feel that you have to speak to the Service Police as you have been asked to attend voluntarily, and you have not been arrested. It is very important that you understand that you do not have to speak to the police until you have received advice from a solicitor. This is so even if you are interviewed by the civilian police. If you need representation for an interview, whatever time of day or night it is, then please call us on 01235 424999 or if it is outside office hours, please call our dedicated out of hours number, 07917 662770. All service police interviews, and civilian police interviews, must be conducted in accordance with the Police and Criminal Evidence Act 1984 codes of practice. If, after your police interview you are charged with a military offence, you can apply for legal aid, and nominate a legal representative of your choice. 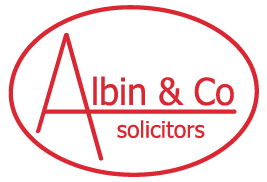 It is at this point that you can ask for Albin & Co Solicitors to represent you. The Armed Forces Criminal Legal Aid Authority will then contact us to ask us if we will take on the case.